Get Your Geek On – Warner Bros World Is Opening In Abu Dhabi! If you loved Warner Bros cartoons as a child (or still do), there’s a new fantasy wonderland opening this summer in Abu Dhabi that’s been made just for you! Want to explore the prehistoric homeland of Fred and Barney? Take a wander around Bedrock! Always been puzzled about why Wile E. Coyote can never get the bird? Visit Dynamite Gulch! Rooted for Tom, or rooted for Jerry? Pop into Cartoon Junction! Always wanted to be as a bad as the Batman? Drop into Gotham City! Ever wonder why you seemed to be the only one that knew it wasn’t a bird or a plane? Then Metropolis is the place for you! Fancy taking a walk through the Hollywood of a bygone era? Warner Bros Plaza is the place to go! 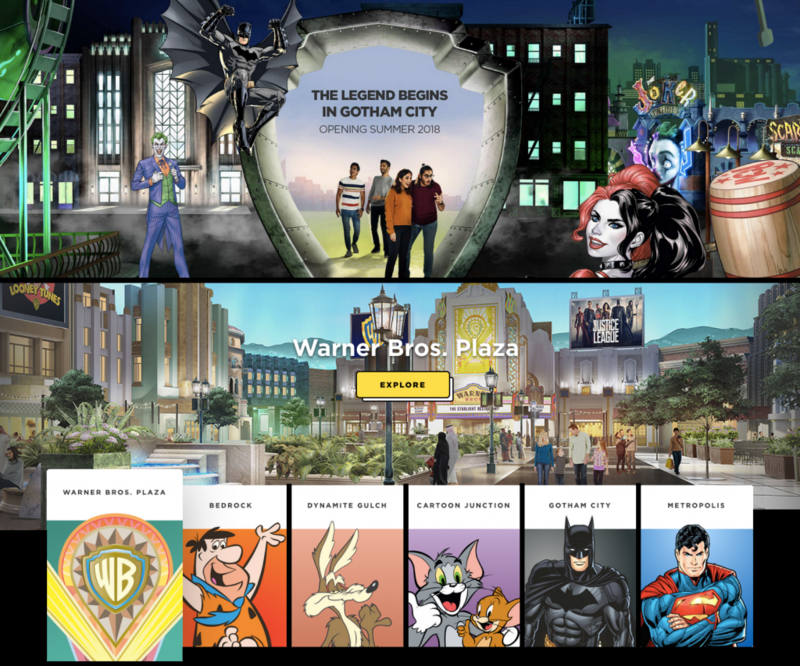 Yep, that’s right – your cartoon favourites and sensational superheroes are all waiting to be explored in an out of this world immersive experience in the world’s first Warner Bros branded indoor theme park in Abu Dhabi this year. Warner Bros. World Abu Dhabi is organised into six themed areas; Gotham City, Metropolis, Cartoon Junction, Bedrock, Dynamite Gulch and Warner Bros Plaza. Gotham and Metropolis are based on the fictional settings of DC Comics’ superheroes Batman and Superman, respectively. Warner Bros’ Looney Tunes and Hanna-Barbera cartoon libraries are featured in Cartoon Junction and Dynamite Gulch, along with Bedrock, which is themed around The Flintstones. Warner Bros Plaza will mimic the Hollywood of the past.